24 January 2019: It might be hard to imagine a classroom where books are scarce in Australia, but it’s a reality for too many kids around the world. The University of Canberra is doing its part to improve kids’ literacy, by empowering people to fill a void in reading resources. 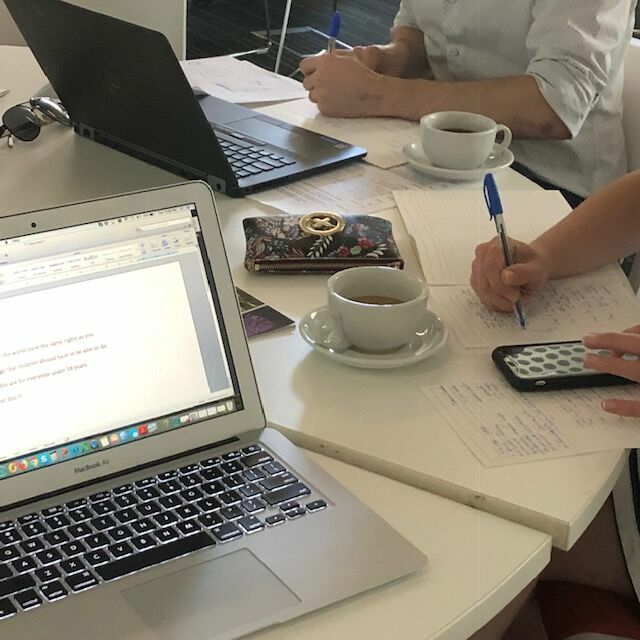 Last month, the University teamed up with literacy not-for-profit Library For All to host a writers’ workshop. 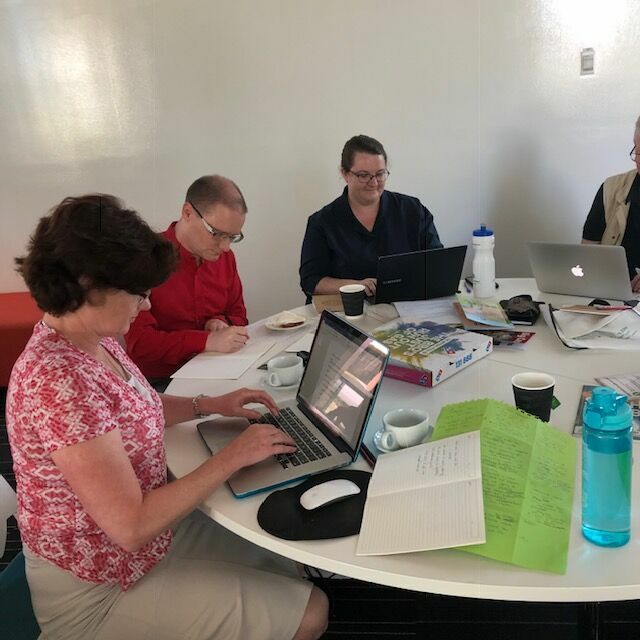 Researchers, librarians and educators from across the institution came together to create original non-fiction books for the ever-growing library – and they did it all in just one day. 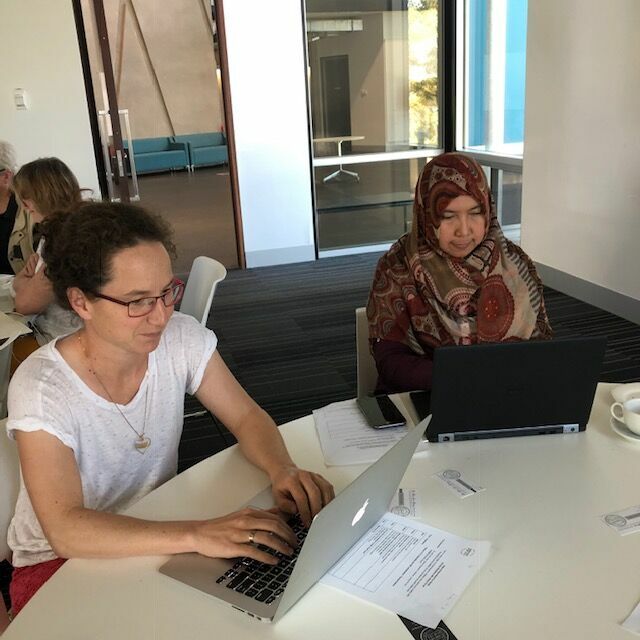 The 35 participants on the day created over 30 stories at the workshop – all of which are now in the process of being edited, before they are published and shipped off to classrooms in Papua New Guinea. Associate Professor Kym Simoncini, who teaches Early Childhood and Primary Education at the Faculty of Education, has experienced first-hand how limited resources can be. However, Associate Professor Simoncini is hopeful about the work being done to help improve literacy, and she would like to see the workshop held on campus again. “Wouldn’t it be fabulous if this could become an annual thing? It’s a great skills development process for us researchers, and we all enjoyed it,” she said. During the workshop, participants were guided through a process to produce a non-fiction book targeted at children aged between five and eight. The key was to create stories which the kids of Papua New Guinea can relate to, given the lack of national representation for the country in non-fiction books. Workshop participants faced the challenge of generating that connection between their area of learning and expertise to Papua New Guinea itself. “We gave the writers complete freedom of topic, as long as each story met our general requirements of being appropriate for children,” Dr Lara Cain Gray, from Library For All said. The books will be illustrated, digitised and made available for free via the Library For All app, which provides high quality, carefully curated children's books for readers across the globe. With a major program focus currently in Papua New Guinea, Library For All is working with its partners to deliver sets of Android tablets with pre-loaded libraries to classrooms. It also delivers hard copies on request. Dr Gray added that while the workshop may have been outside many participants’ comfort zones, everyone embraced the opportunity to do something for the next generation. “The participants said they enjoyed the opportunity to do something purely creative – taking a break from routine research, teaching or marking duties, and others were keen on the unique opportunity to do something for a good cause. “Sometimes when you donate money, you're not sure exactly how it will be spent. But this is a concrete contribution with tangible benefits. To get involved or make a donation to the Library For All, visit the website. To donate high quality manuscripts that can be illustrated, digitised and shared with readers in need, e-mail info@libraryforall.org.au for more information.